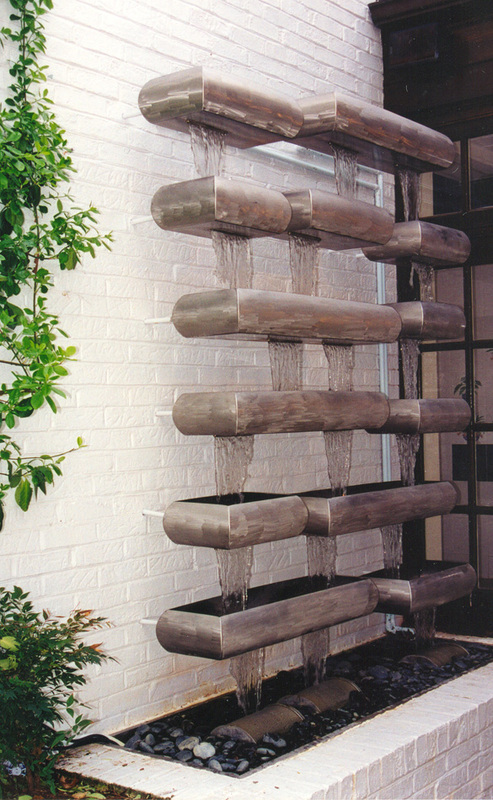 This gentle-sounding sculpture has bulbous rectangular boxes with water slits, allowing water to pass smoothly from one level to the next. 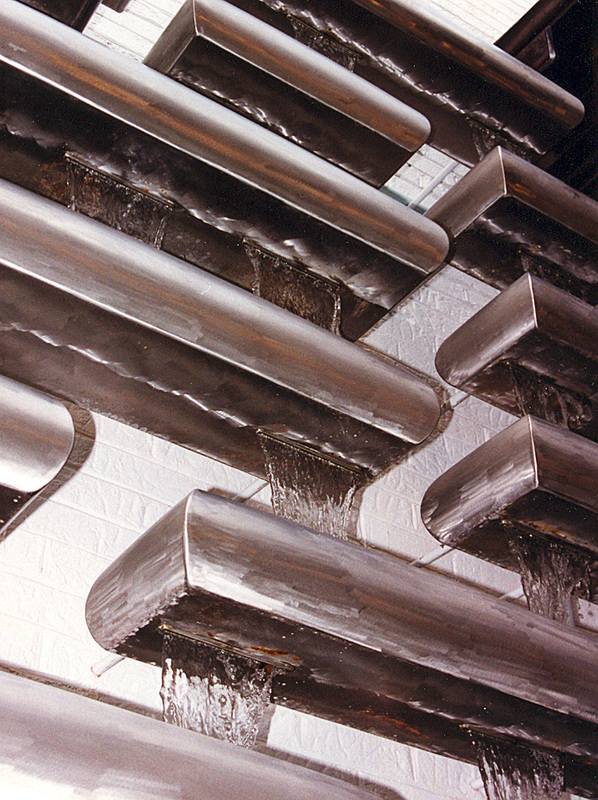 Water slits are protected from debris, water turbulence, and splashout with carefully engineered screens. Slits are also designed to prevent water from creeping under each box, thus allowing the outside of each box to remain dry. Created for a private residence, McLean, Virginia.